Ian Ralston, a 25 year old Army Combat Medic on his second tour in Afghanistan, was injured by an IED and left a quadriplegic in May, 2010. Ian was diagnosed with the notion of never eating, speaking, or breathing on his own again, but his never-give-up Army strong attitude would not accept it. He is now at a VA hospital eating three meals a day, speaking over his ventilator, and strengthening his diaphragm by taking some breaths on his own. Ian has surpassed all expectations once again as he is ready to come home to his family in Iowa this December. While his family is ecstatic and all geared up for his arrival, his house itself is not. Ian did not even have a ramp to allow him to enter his home. 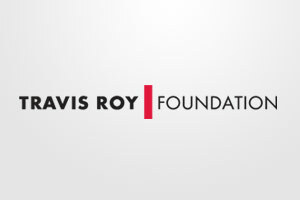 With the community all hands on deck for building the ramp, the Travis Roy Foundation awarded Ian an $11,000 grant to make his home modifications possible. Holidays are meant to be spent with families and Ian, especially, deserves to be home with his. 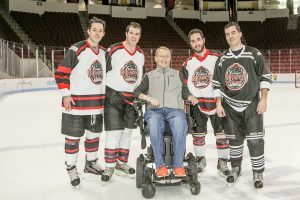 He sacrificed the everyday freedoms that most take for granted for the sacred cause of justice and freedom, and the Travis Roy Foundation wanted to deliver a token of our immense respect and thank you for all Ian has done.